[January 4, 2016] We are pleased to share that January 1, 2016 marked an important milestone in the life of Carlson Capital Management (CCM). 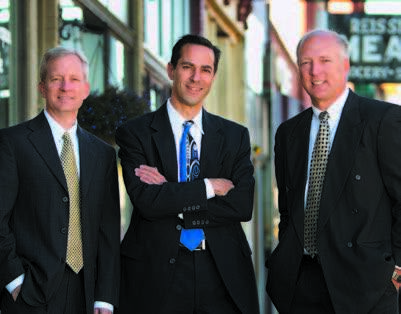 Carlson Capital Management roots extend back over 33 years to when two brothers entered the financial planning profession fresh out of college. It was a time when the Dow Jones Industrial Index stood at 850, house calls were made, the kitchen was the office and a client had $2,000 to invest. Today, we are 38 colleagues and growing; we occupy 15,000 square feet of space in four offices; and we manage in excess of 1.3 billion dollars for more than 700 individuals, families, and institutions. The Dow Jones Industrial Index hovers between 16,000 and 17,000, and a client is one who has complex needs surrounding their investments and retirement, tax, estate, insurance and charitable planning. Central to each day’s work, every business decision we make, and every action we take as a firm is our mission – To be a trusted partner that allows our clients to feel secure in the knowledge that their retirement, investment, estate, tax and philanthropic plans are complete, efficient and organized, in order that they may understand and use their wealth as a tool to accomplish what is important to them. Carlson Capital Management is taking an exciting step to further the pursuit of this mission and to honor the commitment, professionalism, and loyalty of our colleagues. This month, our colleagues all became shareholders in Carlson Capital Management – and over time, the share of their ownership will increase. In effect, we are moving from three shareholders to more than 35, each of whom are serving out the client-centric mission of CCM and building the foundation for the long term. While we are certainly not the first Registered Investment Advisory firm to extend ownership to colleagues, we are one of a handful of independent wealth management firms in the country to take this step of honoring the commitment of our colleagues. It is through expert, competent, skilled and caring colleagues that we are able to create and sustain the “CCM Experience,” which we deliver to each one of our clients. Every morning when a colleague enters our office they are making a choice to serve our clients and work as a CCM team member. Colleagues can choose to perform their excellent work anywhere, and they choose CCM. Owning a part of the company attracts and retains talented colleagues who are key to delivering the client experience. Succinctly stated, we aspire to be the best in the industry. We care about our colleagues’ lives. We care about them reaching their professional and life goals. We want them to be rewarded for their hard work, creativity, service to clients and commitment. We want them to be co-creators in the CCM Experience and the fulfillment of their goals. We are looking to the future and are focused on continuing to build a sustainable firm. When we started out more than thirty years ago we characterized our work as that of jobs, which over time developed into careers, that have expanded into vocations—and well beyond in terms of the meaning we find in our work. Today, CCM is not about any one person, or any one client—it is about hundreds of people (clients and colleagues) whose lives are significantly impacted by the work we do. Diversifying ownership broadens our foundation, strengthens the engagement of stakeholders, and looks to future sustainability. As this important event occurs, we don’t think anyone will notice a “light switch” that is suddenly turned on, as we think our colleagues have always acted like owners, but we do think the light will be a little brighter. In the beginning, and the end, that light will first shine on our clients—and we are also excited for our colleagues to bask in the glow. Watch a short video clip of CCM colleagues discussing what we think it means for clients to work with a wealth management firm owned by its employees.